With 98 stories submitted, the European Heritage Stories is one of the key initiatives of European Year of Cultural Heritage. By presenting Europe’s hidden heritage gems, it enables a wider recognition of less known heritage places and objects, highlighting the remarkable work of local heritage groups. Moreover, the grants programme that will be available to ten selected stories is a way to support the ideas that can change Europe’s heritage landscape. 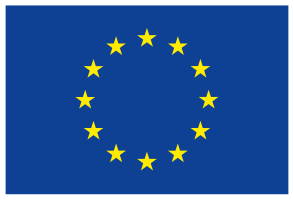 Specifically, the Call for European Heritage Stories is a pilot initiative intending to identify the European Dimension of heritage sites and heritage work undertaken by the communities in Europe. It refers to past or existing “stories” that communities would like to share and potentially develop into a project to further contribute to their communities. The Call is one of the key initiatives within the European Year of Cultural Heritage (EYCH) 2018, organised under the two slogans: “European Year of Cultural Heritage: The Art of Sharing” and “Our heritage: where the past meets the future”. In the framework of the joint vision of shared European values, the Call is also open to the EU Prize for Cultural Heritage/Europa Nostra Award winners and the European Heritage Label sites.